Home/Drones, Quad Copters/Drone Laws in Australia: Are you flying your UAV / RPA legally? As at 18 August 2015 it is still illegal to fly ANY Drone for commercial gain WITHOUT certification. It is CURRENTLY illegal to fly your Phantom for commercial gain without certification. WHEN (it has been promised for years now but STILL not available) the new laws come into effect there will be STRICT conditions under which you may potentially fly it legally for commercial gain. What are the proposed new conditions? Basically the same as the current laws!! Below is a list of the current and future restrictions. You may NOT fly FPV !! What does this translate to? Real Estate photographers will usually NOT be able to conform with ALL these conditions and will therefor REQUIRE a UAV Operator Certificate (UOC) which is the CASA certificate to operate legally. Another recreational drone user has been issued with an $850 fine after flying the aircraft over populated areas in Townsville last year. The news comes just weeks after CASA fined a separate recreational operator in December for crashing just metres away from a Victorian police operation. A year earlier, in late 2013, a Sydney operator was also issued with an aviation infringement notice after he lost control of his drone,crashing it into Sydney Harbour Bridge. You must only operate the aircraft in your line-of-sight in daylight. Don’t let it get too far away from you. If you are in controlled airspace—which covers most Australian cities—you must not fly higher than 400 feet (120 metres). You should not fly within 5.5 km of an airfield. IF YOU’VE got a drone and haven’t been keeping a close eye on the regulations that outline where and when you can fly it — be very careful. Uploading videos taken from your drone to the internet could result in the Civil Aviation Safety Authority (CASA) sending you a hefty fine. One Queensland drone pilot found this out the hard way, after receiving an $850 fine for his drone use — all based on videos he had uploaded to YouTube. The owner — who does not wish to be named, received a phone call from a CASA investigator notifying him of multiple breaches. Each of which could have resulted in an $850 fine. In the end his single $850 fine, obtained by EFTM.com.au was a lucky break with the CASA investigator stating, “while each individual breach was not major in itself, the number of breaches has caused me concern”. The most popular drone on the market, the DJI Phantom — has software built into it that can prevent it taking off near airports and limit its height. The problem seems to be the owners who want to toy with the regulators, because they think no-one is watching. So does CASA have staff watching online videos to find offenders? Peter Gibson, spokesman for CASA told EFTM, “I’m not going to pretend we sit there every day trawling through YouTube because that would be ridiculous. However, where we see things, or where people bring things to our attention then we will investigate”. The fines can range anywhere from $850 for breaches of the basic guidelines, right through to $8,000 for “reckless operation”, with Mr Gibson pointing out “if you injure someone, CASA can also seek prosecution. We’re not trying to penalise people, but if you behave stupidly, then you certainly run the risk”. When the fine was sent this week, it also had attached a set of “Facts and Circumstances”. This document outlined the reasons for the fine, including that CASA had been alerted to the videos, which prompted their investigation. The owner of the drone has been thoroughly deterred and has reportedly put it up for sale on Gumtree. 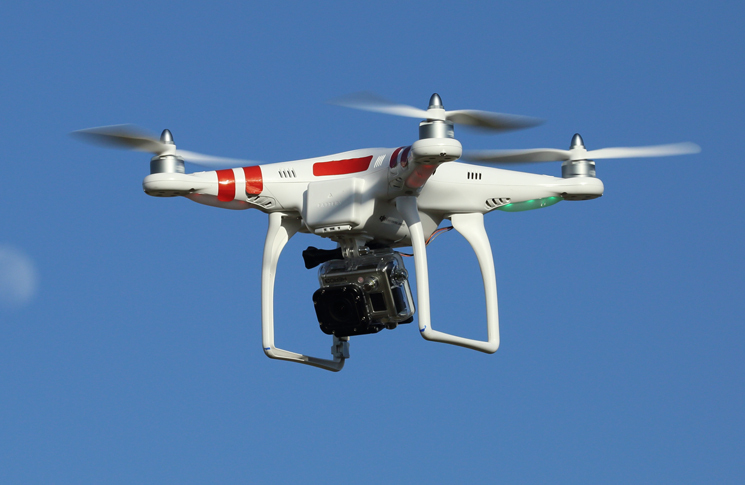 However with drones becoming more readily available, it’s certainly likely that CASA will be dishing out more fines. The drone in question has already appeared for sale on online classifieds site Gumtree, and one can only assume this fine has scared the flights out of this pilot. Respect personal privacy. Don’t record or photograph people without their consent—this may breach state laws.